Went out to check on my garden this morning after working out, and I found a lot of red and almost red Juliet Grape tomatoes. I hadn’t even realized they were there, because they’re fairly hidden, but finally! I’ll have to do some picking when I get home tonight. 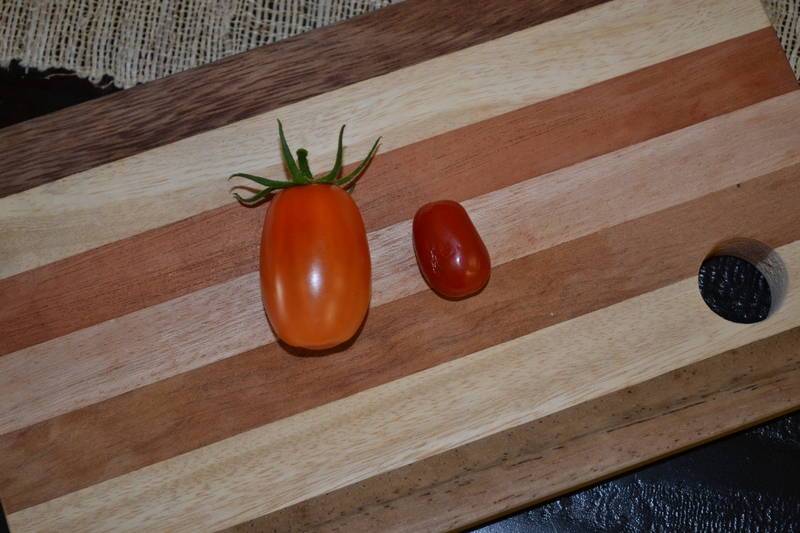 There was one that had fallen off the vine, so I brought it in. This entry was posted in Garden and tagged Garden, Organic, Tomato by livinglikelinds. Bookmark the permalink. OMG LMAO at that picture. I’ve been eating tons of grape tomatoes and they are soooo good. LOVE THEM.